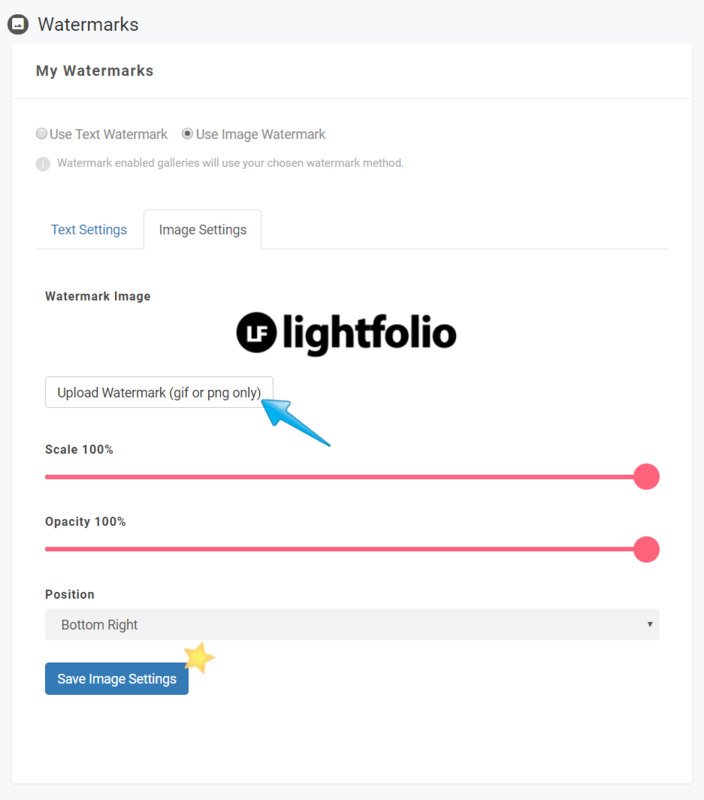 From the Gallery you would like to add Watermarks to enter the Gallery Dashboard and select Watermarks. You will notice that they are Disabled. From here it will show you the current Watermark Settings. (1) You can see whether it is a text copyright or an image upload and (2) it will show you where it is located. 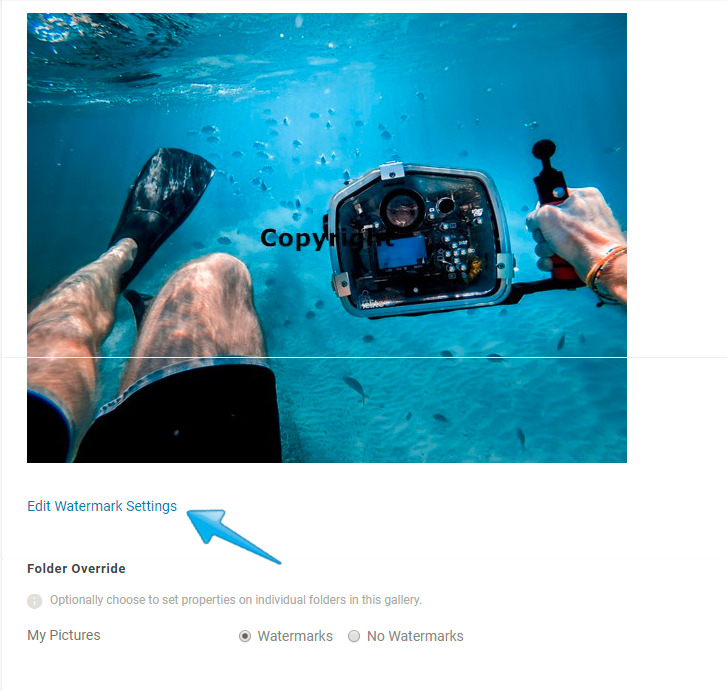 To edit your Watermarks scroll lower and select edit. You can choose to use text for your watermark. This option is a great alternative for those who do not yet have a logo. 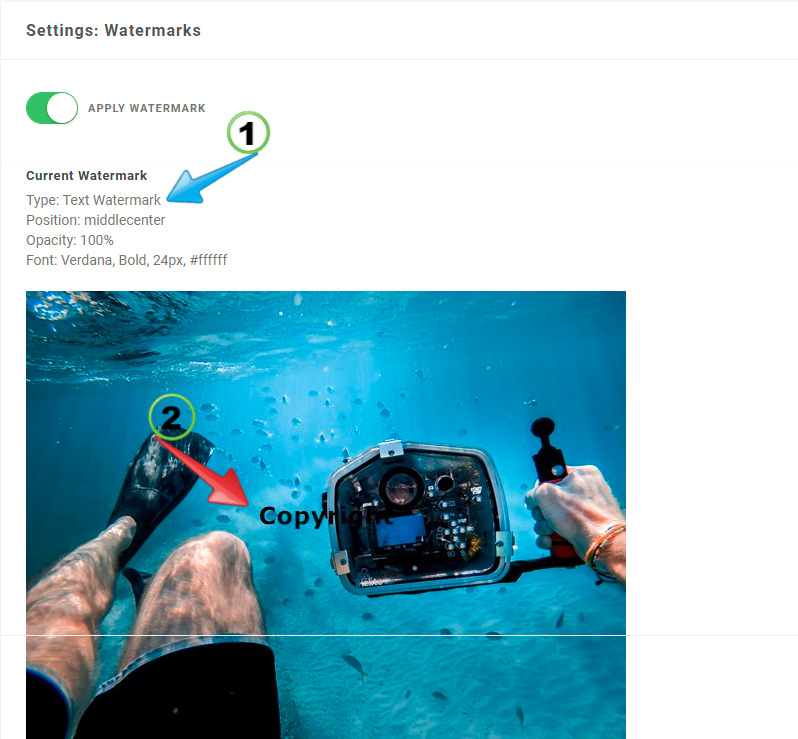 There are different settings for you to customize your text watermark, but one of the most important settings is where you want to position the text on your page. Once you have selected the different options, remember to Save your Settings! If you happen to have an image or a logo that you would like to use for your watermark this would be the setting to choose! You can easily upload an image and adjust the settings. And remember, the position of your logo is probably the most important feature you will want to experiment with. Save your settings when you are finished. 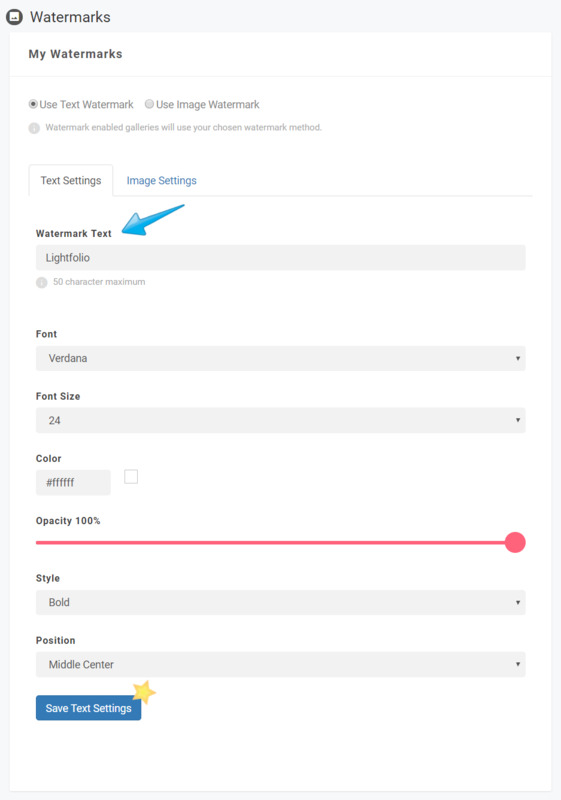 After selecting your choice of a text or image watermark you can then at any time enable watermarks per the specific photo gallery. Once they are enabled, feel free to Preview your gallery with the newly added watermarks.